Scoliosis is a curving of the spine that can have a wide spectrum of severity. When most people think about scoliosis, they sometimes think of the more common and mild form of scoliosis in adolescents that can happen during the growth spurt. However most kids in the international adoption system have significant curving of their spine that will require interventions. The treatment regimens are based on the amount of curving present called the Cobb angle and this is not something we routinely get from other countries as we would need the actual Xray films in order to assess this. The Cobb angle can give us a gross estimate of the needs of the child but there are a number of other factors that can influence treatment decisions and an in person exam and other imaging may be needed. *Scoliosis is seen rarely in reports, but can be seen from all referring countries. 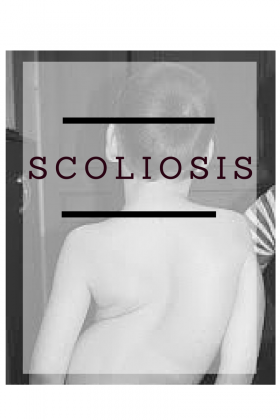 *As a group, children with moderate to severe scoliosis can have extensive medical and surgical needs, but most forms are considered treatable and generally have good long-term outcome. 1. Scoliosis Research Society. Early Onset Scoliosis. . http://www.srs.org/patient_and_family/scoliosis/early_onset_scoliosis/. Updated 2014. Accessed July 28, 2014. 2. Gillingham BL, Fan RA, Akbarnia BA. Early onset idiopathic scoliosis. J Am Acad Orthop Surg. 2006;14(2):101-112. 14/2/101 [pii]. 3. Karol LA. Early Definitive Spinal Fusion in Young Children: What We Have Learned. Clinical Orthopaedics and Related Research®. 2011;469(5):1323-1329. 4. Goldberg CJ, Gillic I, Connaughton O, et al. Respiratory function and cosmesis at maturity in infantile-onset scoliosis. Spine (Phila Pa 1976). 2003;28(20):2397-2406. 10.1097/01.BRS.0000085367.24266.CA [doi]. 5. Weiss HR, Negrini S, Rigo M, et al. Indications for conservative management of scoliosis (guidelines). Scoliosis. 2006;1(1):5. 6. Thompson GH, Akbarnia BA, Campbell Jr RM. Growing rod techniques in early-onset scoliosis. Journal of Pediatric Orthopaedics. 2007;27(3):354. 7. OUELLET J. Early Onset Scoliosis. Clin Orthop. 2011;469(5):1356-1367.